In addition to these players, there are others who are currently just inside the top 64 on the two-year world ranking list, who will have an eye on this tournament as a safety net, in the event that they slip out of the top 64 between now and the end of the season. 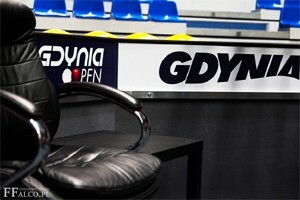 17:57 – Big developments in Gdynia with the conclusion of today’s semi-finals within seconds of each other. Stephen Maguire will hang on to the final place at the World Grand Prix following defeat for Andrew Higginson to Mark Selby. Meanwhile, Martin Gould has snatched a place at the Players Championship, moving into the top 24 on the European Order of Merit by defeating Kyren Wilson to reach the final. This means that Sam Baird drops out of the top 24, but will take his place through the combined European/Asian Order of merit, meaning that Matt Selt drops out of contention. 14:45 – Martin Gould keeps his hopes of a place at the Players Championship alive, beating Ben Woollaston to reach the semi-finals. 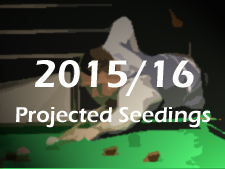 One more win needed against either Kyren Wilson or Barry Hawkins to reach the final and qualify. 12:32 – Defeats for a number of the chasing pack this morning have left the various ranking battles relatively clear cut now as we approach the quarter-finals. In respect of tour survival, with both Ryan Causton and Liam Highfield losing this morning, the top eight will now not change during the remainder of the weekend. As far as the Players Championship list is concerned, only Martin Gould can now sneak into the combined list at the expense of Matt Selt, needing to win two more matches to do so. Meanwhile defeat for Rory McLeod helps Stephen Maguire somewhat, with Mark King and Andrew Higginson now both needing to claim the title to edge the Scot out of contention to reach the World Grand Prix. 11:09 – Brilliant win last night against Ding Junhui, but Thor Chuan Leong is now out of the Gdynia Open, having lost 4-0 to Kyren Wilson this morning, meaning that the Malaysian will narrowly miss out on a place at the Players Championship. 11:01 – First result of the day is a comprehensive 4-0 victory for Andrew Higginson against Tom Ford, Higginson needing to win the title today if he is to sneak into the World Grand Prix. 01:03 – Some big results in Gdynia late this evening in respect of the various battles. In terms of tour survival, amateur Ryan Causton has completed a fantastic day with victory against David Gilbert to reach the last 16 tomorrow. The result means that he now requires just one more victory against Ben Woollaston now to all but secure a place on the main tour for next season. The same goes for Liam Highfield, who came back from 3-0 down to defeat Robin Hull 4-3 this evening and put himself one win away. for Liam however, his current position could yet be enough depending on other results this season, having climbed into ninth place on the list, however his fate would then be out of his own hands. Finally in the battle to make it to the World Grand Prix, Stephen Maguire remains in 32nd place, with Rory McLeod needing two wins tomorrow to deprive him of a place in Llandudno. Further back, Mark King, Zhou Yuelong and Andrew Higginson could also spoil things for the Scot with a run to the title. Still plenty to play for! 20:10 – After the jockeying for position on Friday, today has been slightly more straight-forward with many of the players in contention losing early on. The big movers so far have been Scott Donaldson and Kyren Wilson, who have effectively made sure of their tour card and Players Championship qualification respectively with their results. Away from the ranking battles, Ryan Causton has performed impressively well to defeat Michael Leslie and Ryan Day, while Jamie Jones has also secured an impressive win against Shaun Murphy this evening. Also worth following is Ding Junhui, who is looking to follow up his quarter-final run in Cardiff recently with a strong performance in Gdynia, as he looks to make certain of his place at the Crucible. 19:29 – Somewhat under the radar, Malaysia Thor Chuan Leong has won a second match today to retain an outside chance of qualifying for the Players Championship in Manchester, not to mention cement his position in the tour survival standings. 19:26 – Big win for Kyren Wilson this afternoon against Peter Lines, which sees him climb five places in the combined Euro/Asia list and into position to make it to the Players Championship at the expense of Alfie Burden. Defeat for Lines on the other hand means that he will not gain a tour card via the European Order of Merit, so must finish back inside the top 64 of the official two-year world rankings if he is to avoid having to play in Q School in May. 13:58 – Defeat for Stuart Bingham, the reigning world champion falls to Fraser Patrick, a result that leaves him unable to qualify to play at the Players Championship next month. Elsewhere, Mark Joyce has also suffered defeat at the hands of Ryan Day, meaning that he is unable to qualify for the World Grand Prix. The result is a boost for Stephen Maguire whose position is strengthened. 12:55 – And that is Kyren Wilson off the mark with a 4-1 victory against Welsh rookie Duane Jones. 11:07 – So what are the key matches today? In terms of tour survival, both Scott Donaldson and Michael Leslie are the men to follow as they take on Sydney Wilson and Ryan Causton respectively. For the Players Championship, at the time of writing reigning world champion Stuart Bingham trails Fraser Patrick in a match that he has to win if he is to remain in contention to make it to Manchester. 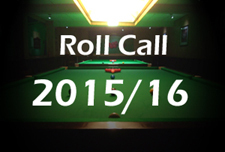 Similarly, Kyren Wilson and Stuart Carrington are also in need of results today if they are to make it. Meanwhile in the battle to make it to the World Grand Prix, Mark Joyce knows that he needs to win three matches today if he is to make it at the expense of Stephen Maguire. 11:01 – Rounding up the late finishes on Friday, Anthony Hamilton was unable to make it three wins as he fell 4-2 to Mark King in the early hours. The result means that although he is currently in position to qualify in seventh place of those on the European Order of Merit, he could still be overtaken by players in action today. Another potentially significant result last night was a 4-2 victory for Rory McLeod against Fergal O’Brien, which keeps McLeod’s hopes of a place at the World Grand Prix alive, a semi-final required if he is to make it there. 22:38 – Mitchell Mann has rounded off a perfect day by defeating Jack Lisowski to guarantee himself a main tour card for next season via the European Order of Merit. The other player to break into the top eight in the tour survival race was Anthony Hamilton, who has added the scalp of Peter Ebdon to that of Joel Walker to significantly boost his position. Although he is not yet safe, at the time of writing Hamilton is locked at 1-1 with Mark King with the potential to improve still further. 21:10 – And after two good wins earlier, Stephen Maguire has been knocked out at the last 32 stage by Leicester’s Tom Ford, a comfortable 4-0 winner. The result means that Maguire can now not improve upon 32nd place in the race to the World Grand Prix and so must hope that other results go his way tomorrow if he is to be in Manchester. 21:09 – Disappointment for local favourite Kacper Filipiak, but an important win for Andrew Higginson against the Polish player to consolidate his position in the race to qualify for the Players Championship. 19:06 – A 4-1 win for Stephen Maguire serves as a further boost to his bid to qualify for the World Grand Prix, although remaining in 32nd position on that list he is far from safe with two and a bit days to go here in Gdynia. Next up for him will be a match against either Tom Ford or Sean O’Sullivan, the pair currently locked at 2-2. 18:55 – Further wins this evening for Luca Brecel and Sam Baird in the race to qualify for the Players Championship. Both players just inside the top 24 on the European list, as well as now being in position on the combined list if they were to drop out. One for tomorrow, Stuart Bingham must now win at least one match if he is to qualify to play in Manchester, other players having moved ahead of him on both qualifying lists today. 18:08 – Important result in the battle for places at the Ladbrokes Players Championship as Mark Selby has defeated John Higgins 4-2 to leave the four-time world champion now unable to qualify for the event in Manchester. 17:52 – Important results during the last couple of hours here in Gdynia as Anthony Hamilton recovered from 2-0 down to defeat Joel Walker 4-2 and keep his hopes alive of a fresh two-year tour card via the European Order of Merit. The former Crucible quarter-finalist began the event some £10,000 off the top 64 and so would have been targeting a run this weekend to move into contention on the European list. While his single win so far is unlikely to be enough, victory against Peter Ebdon later this evening could be sufficient, as he would move ahead of Zak Surety, Joel Walker and Scott Donaldson as it currently stands. 16:17 – Notable defeats for Zak Surety and Gerard Greene, who will both now remain on 1,950 on the final European Order of Merit. For Greene, the importance of him remaining inside the world’s top 64 at the end of the season is now increased, with the safety net of a tour place via the European Order of Merit now unlikely to be there. In fact with Ian Burns just £310 behind and due to play here in Gdynia tomorrow, Greene could find himself outside of the provisional top 64 before the conclusion of this event. 15:44 – And that’s a 4-2 win for Maguire against Stevens to leave closest chaser Mark Joyce needing at least two wins tomorrow now to put him out of the running for the World Grand Prix. By no means safe yet but it helps. Alfie Burden next up for the Scot. Other players in and around the 32 mark for the World Grand Prix are also in action, including Peter Ebdon, Mark Davis and Rory McLeod. Elsewhere, Anthony Hamilton and Joel Walker are three frames into their crucial opening round match, with both chasing fresh tour cards via the European list. 13:52 – One of the biggest matches of the day is now underway, Stephen Maguire takes on Matthew Stevens with the Scot looking to make certain of a place at the Ladbrokes World Grand Prix next month. 13:28 – Mark Selby wins 4-2 against amateur Joe Roberts, who gave him a bit of scare coming back from 3-0 down. He looked pretty safe anyway but that surely absolutely guarantees his place at the Players Championship. John Higgins awaits in a tasty second round match, with the Scot needing to win to remain in contention to qualify for Manchester. 12:54 – Important win for Matt Selt in respect of his hopes of qualifying for the Players Championship next month – he moves into the top six currently on course to claim a place through the ‘combined’ European and Asian Order of Merit. Still work to do here in Gdynia though you feel. 12:28: HUGE win for Mitchell Mann potentially as he wins the last two frames against Sanderson Lam to boost his chances of staying on tour. He climbs from tied eighth to sixth of the eight players currently in line to claim a new two-year card. 12:27 – Sam Baird comfortably sees off amateur Joshua Baddeley to move into the second round and provisionally at least, into the top 24 on the European Order of Merit at the expense of Stuart Bingham. 12:07 – And a big win for Luca Brecel who edges out Joe Swail 4-3 to boost his chances of qualifying for the Players Championship. He came into this event tied for 24th position with Andrew Higginson, so as it stands at least, moves up a couple of places. 11:38 – Great win for Rhys Clark, he knocks out 2006 world champion Graeme Dott to reach the last 64. Dott is now slightly vulnerable in the race for places at the Players Championship, although one would expect him to take a place through the combined list, if he were to drop out of the top 24 on the European Order of Merit. Watch this space. 11:04 – Our first winner of the day is Jack Lisowski, who has defeated Cao Yupeng 4-2. The result means that provisionally 70th on the provisional end of season list, Cao must now have a strong finish to the season if he is to break back into the top 64 and retain his tour status for 2016/17. 9:36 – Friday morning in Gdynia and the first matches of the day are now underway. The biggest story from the remaining amateur rounds on Friday evening came as Hammad Miah fell to Jamie Clarke in the final qualifying round, meaning that he is now unable to add to his Order of Merit tally of 2,700. Currently sitting in fifth place of the eight in line to earn a two-year tour card, he looks to be relatively well placed, but will be keeping a close eye on the results of those immediately below him. The main matches of interest this morning involve the qualification race for the Players Championship, with Graeme Dott and in particular Luca Brecel looking to make sure of their places in the competition. In respect of the tour survival battle meanwhile, Mitchell Mann is also in action against Sanderson Lam, Mann being one of three players currently tied for the eighth and final tour place available. 18:04 – We are now well into the final day of the amateur qualifiers here in Gdynia and at the time of writing most of those in relatively close contention for a tour spot are still in action. Hammad Miah takes on recent European Championship runner-up Jamie Clarke this evening in the match of the evening, while both Joe Roberts and Dylan Craig also remain in the event. Elsewhere, a look ahead to tomorrow and towards some of the matches to keep a particular eye on. In respect of the battle for tour places, perhaps the most interesting first round match on paper is that between Anthony Hamilton and Joel Walker, both players who look unlikely to finish inside the top 64 and so will be eyeing a run in Poland. Hammad Miah is another who will potentially be in action if he can come through his final amateur qualifier this evening, while Zak Surety, Mitchell Mann and Gerard Greene will all be looking to add to their totals of 1,950 and break away from that tie for eighth place. Turning to the World Grand Prix and in fact most of the players in and around the cut-off point of 32nd will be in action. These include 32nd placed Stephen Maguire, who takes on fellow UK Championship winner Matthew Stevens in a tricky opening round match, as well as Peter Ebdon (31st), Mark Davis (34th) and Rory McLeod (35th). For Maguire, he will be looking to build up as big an advantage as possible over closest challenger Mark Joyce, before he gets underway against Ryan Day on Saturday. Finally, in respect of the Players Championship one of the biggest matches to keep an eye on is that between John Higgins and potentially Mark Selby at the last 64 stage tomorrow, Higgins in particular needing to go on a run here in Gdynia to qualify. Both men currently sharing a tie for 24th place (Andrew Higginson and Luca Brecel) are also in action on Friday, while again Peter Ebdon and Matt Selt will be amongst those looking to force their way into the combined list tomorrow. 11:10 – Today sees the continuation of the amateur rounds at the 2016 Gdynia Open, with the professionals set to join the fray tomorrow. In respect of the various ranking battles detailed above, at the time of writing the most notable development is that amateur George Pragnall has already fallen, meaning that he will not be able to gain a main tour card through the European Order of Merit. A reminder also that India’s Aditya Mehta has also withdrawn from the event, so although he currently sits in place to earn a two-year tour card through the European Order of Merit, he will not be adding to his total of 3,000 during this week’s event. Combined list Alfie Burden should be on 5475 and currently qualified prior to the start of round 1. Sam Baird is on the ET top24 list, but not on the combined top6, unlike all other players around him. Is there a reason?